As big names in consumer electronics and automakers gear up to debut their self-driving technology at next week’s CES 2017 from Las Vegas, Tesla is preparing for an event of its own just a few hundred miles away at the Gigafactory battery plant in Sparks, Nevada. Tesla will be holding an invite-only “investor event” on January 4 at the Gigafactory where CEO Elon Musk and CTO JB Straubel will be on site and made available to analysts attending the exclusive event. “Everyone is converging in Nevada for CES, which starts the next day. There have been tons of requests for Gigafactory tours.” said Dougherty & Co. analyst Charlie Anderson who plans on attending the investor event, according to Bloomberg. The event is seen as a strategic move by Tesla that’s aimed at putting the company in good graces with analysts and investors, ahead of plans to spend heavily and reach a production level of 500,000 vehicles annually by 2018. A regulatory filing on December 21 revealed that Tesla increased its borrowing capacity by approximately $500 million under two new credit agreements. 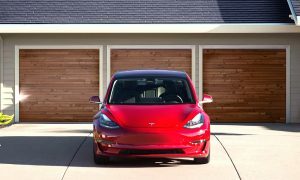 Tesla added $200 million to an existing line of credit with Deutsche Bank, bringing total borrowings to $1.2 billion, and doubled the size of a separate credit agreement from $300 million to $600 million. 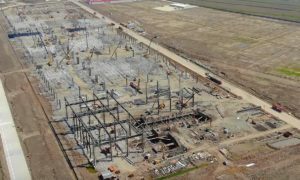 Tesla has been been accelerating construction on the $5 billion Gigafactory 1 battery facility at an extremely fast pace. 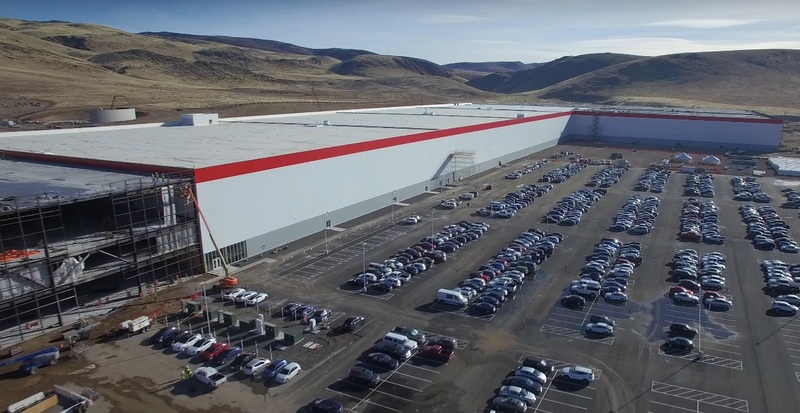 Earlier this month, a drone video captured amazing progress at the Gigafactory showing that new sections flanking each end of the main building have been completed, effectively doubling the size of the massive lithium-ion plant. 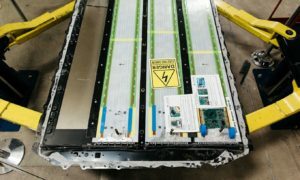 Construction permits filed by Tesla reveal that a ‘2170 module line’ project – 2170 is the form factor for the company’s newest high energy density battery cells which will be used in Tesla’s mass market Model 3 – was underway during the second half of this year. The 2170 battery cell format is already being produced in conjunction with strategic partner Panasonic and being used in Tesla’s Powerwall and Powerpack battery storage products. By 2018, Tesla plans to produce more lithium ion batteries annually than were produced worldwide in 2013. 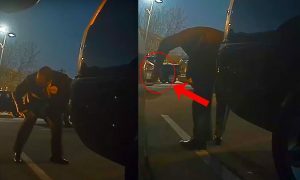 Tesla CEO Elon Musk characterized future production at the Gigafactory, during an investors call last year, as battery cells being fired through a machine gun. 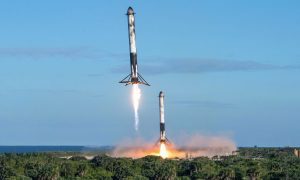 “the exit rate of cells will be faster than bullets from a machine gun.” said Musk.